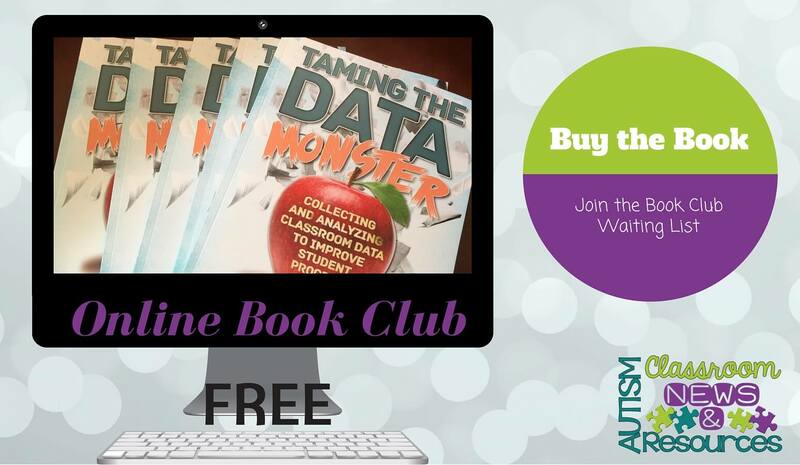 Taming the Data Monster: Collecting and Analyzing Classroom Data to Improve Student Progress was designed to help teachers, therapists, direct care staff, and anyone else who takes data on either skill acquisition or reduction of challenging behavior. While it has a focus on the type of data systems needed for special education and working with individuals with disabilities, general educators can also benefit from strategies to use in their classrooms, particularly when providing Response to Intervention (RTI), assessing challenging behavior, and collecting data on students included in their classrooms. Are you tired of having piles of paper with data that you don’t know what to do with? Has most of the training you attended focused on taking data, but not an what to do with it once it is collected? Have you struggled with how to fit data collection into your daily routine? If you answer yes to any of these questions, then this book is for you! and answer commonly asked questions about data collection and analysis. The book also includes a link to download most of the forms (some excluded due to copyright) discussed in the book in both pdf format and Word format so that you can individualize them for your learners. *Dislaimer* The Amazon link is an affiliate link which means the cost is the same to you but it sends me a small commission for the sale. The Amazon primary copy, at the time of this posting, is also more expensive than to purchase it through AAPC. To help you to individualize the book to your situation I am offering FREE online book clubs. These clubs are designed to help you individualize the strategies and forms laid out in the book to your particular situation. This group will allow participants to network, discuss and share ideas with others who have similar needs and interests. It will also serve as the forum for group discussion and to ask questions of each other as well as the moderator. The groups will be limited to 15 participants per group to assure that there can be enough individual attention. Each week we will discuss one of the chapters of the book (I will share an agenda on the Facebook page when the club begins). I will post discussion questions and a place for questions about the topic of that chapter that week. As part of the club we will also have at least 2 live online webinars / meetings. I will be able to share information by video and you will be able to participate by typing questions and comments or topics of discussion. What this looks like will depend a bit on the size of the group. I will try to schedule them to accommodate as many time zones as I can but if there is a big split, I’ll schedule each one to allow the most of us to meet. You must own the Taming the Data Monster book. You can purchase it from the links below if you don’t already own it. You must have a Facebook personal account. I cannot add you with a business page account. You must be willing to participate weekly during the 8 weeks to be part of the group. Finally, this is the first time I am setting something like this up, so I ask that you be patient with me if we run into any glitches. I will do my very best to have this be an awesome opportunity to get the most out of the book. We had a big turn out for the first book club, so I actually started two of them. I intend to start another in February. To assure your place in the club, please complete the form below and I will add you to the waiting list. The waiting list will be the first people added to the next group and I will email you as soon as I know when that will be be. So, are you ready to sign up?? If so, click complete the form below. Make sure to fill in all the required fields and submit. If you can’t access the form embedded below, just click this link to complete it on Google Forms. Have questions I haven’t answered? Feel free to message me on my Facebook page or comment below with questions.